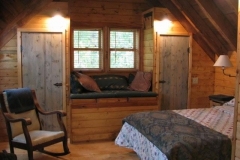 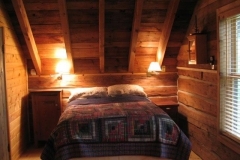 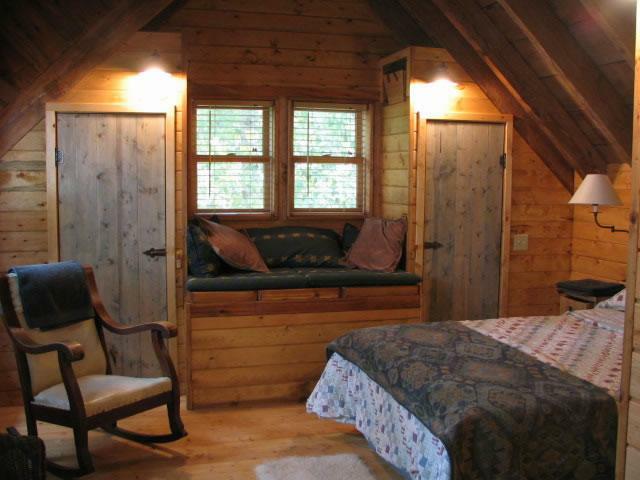 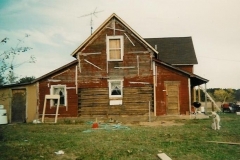 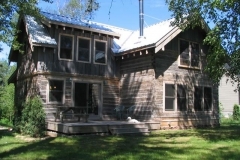 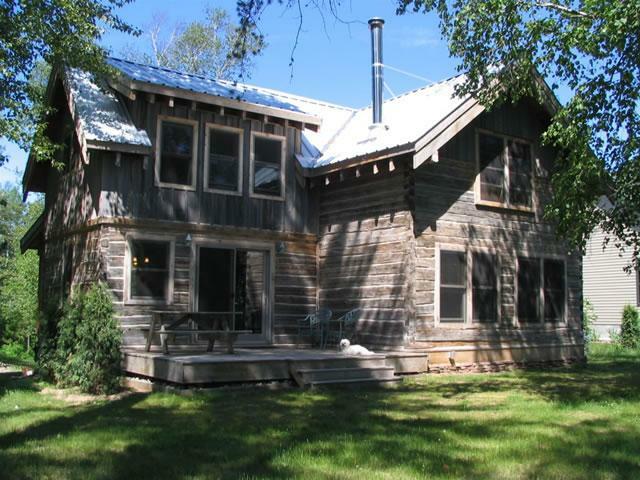 This cabin restoration was a framed shell project with exposed roof framing. 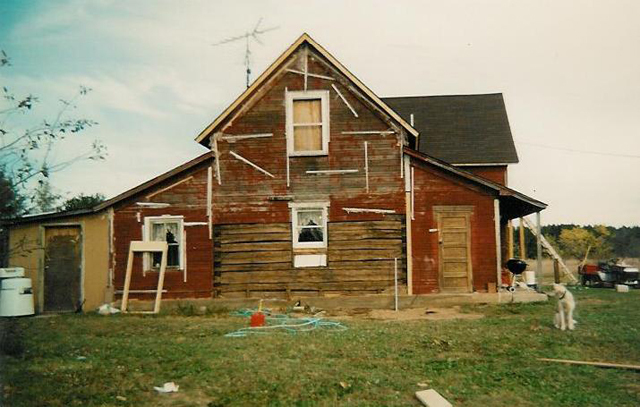 A local contractor installed a hand framed roof on top of my framing and completed the insulation from the exterior. 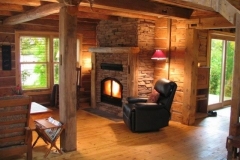 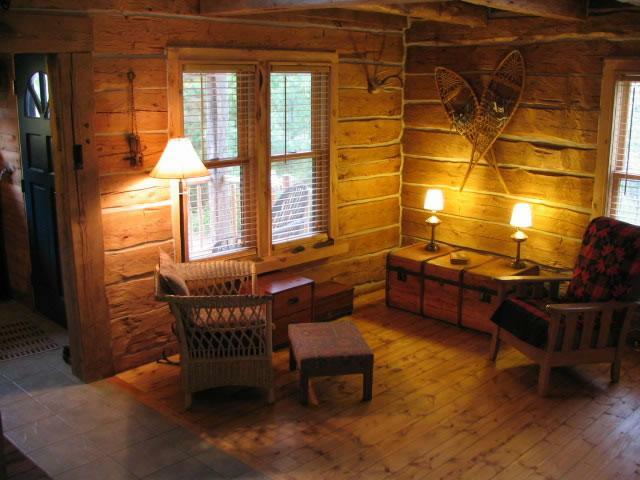 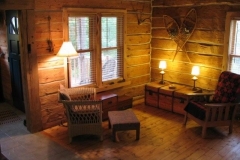 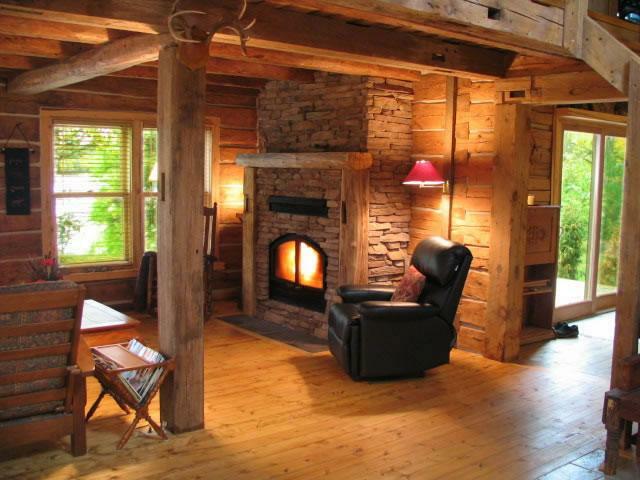 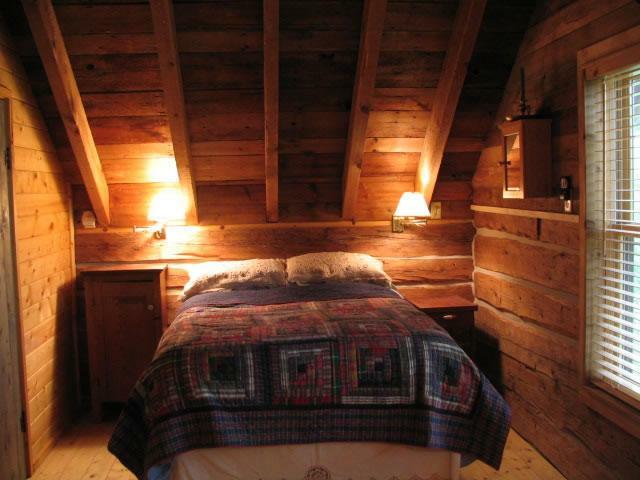 The logs where coped or carved to fit so tightly that spagnum moss all that was needed to seal between the logs.This is a common characteristic of Swedish cabin builders was The main floor was all living area with three bedrooms and a bath upstairs.